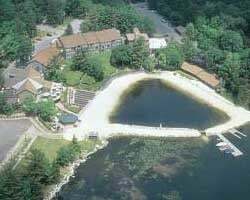 *Westwood at Split Rock* is a four season resort situated on 125 acre Lake Harmony in the western region of the Pocono Mountains of Pennsylvania! Split Rock's eight hundred acres are easily accessible, located only 4 miles off Exit 277 of Interstate 80 and exit 95 of the NE Extension of the Pennsylvania Turnpike. The Wilkes-Barre International and Lehigh Valley International Airports are only 30 50 minutes away. Airport shuttle service can be arranged. The setting is quiet and pristine in a true 'four season' resort surrounded by thousands of acres of mountain scenery including forests, lakes and streams that are ready to be explored on skis, bikes, or on foot. Lovely lakefront resort with many onsite recreational amenities! Buyer may receive a title fee credit, inquire for details! Golf, lake & outdoor lovers' delight! Yearly floating week! Buyer may receive a title fee credit; inquire for details! Enjoy any week at this year round resort each year! Plenty of outdoor activities available! Relax at this peaceful resort! Buyer May Receive A Title Fee Credit, Inquire For Details! Here is your dream getaway in the beautiful Poconos! Motivated Seller. Price Negotiable. Attention boaters! All seasons resort on Lake Harmony! Yearly usage in floating week! Make an offer today! Fun lake resort in the woods with 27-hole championship golf! Yearly floating week! Buyer may receive a title fee credit; inquire for details! Plenty of exciting activities available during gold holiday season week! Buyer May Receive A Title Fee Credit, Inquire For Details! Enjoy any week during all 4 seasons at this year round resort! Buyer May Receive A Title Fee Credit, Inquire For Details! Come relax and enjoy this peaceful resort! Pick your dates with an annual floating week! Buyer may receive a title fee credit, inquire for details! 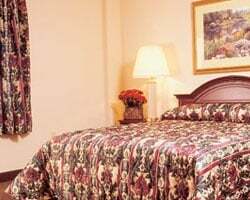 Resort is location in a beautiful wooded setting! Buyer May Receive A Title Fee Credit, Inquire For Details! Perfect for golf lovers! Lots of great activities & amenities the whole family will enjoy! Choose your floating week! Make an offer today! Ideal location to enjoy nature! Fun activities nearby! Annual floating week! Buyer may receive a title fee credit, inquire for details! 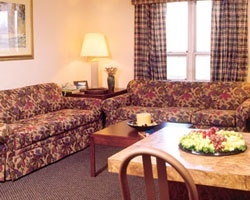 Lots of great amenities onsite including a movie theater, bowling, and more! Come stay at this cozy resort in any floating week! Inquire today! Rustic resort in a beautiful wooded setting! Floating week! Buyer may receive a title fee credit, inquire for details! Get away from it all and spend relaxing vacations at Lake Harmony! Lots of activities and amenities right on site! Sauna in suite! Motivated seller will consider all reasonable offers! Enjoy relaxing on Lake Harmony every odd year in the week of your choice! Inquire today!